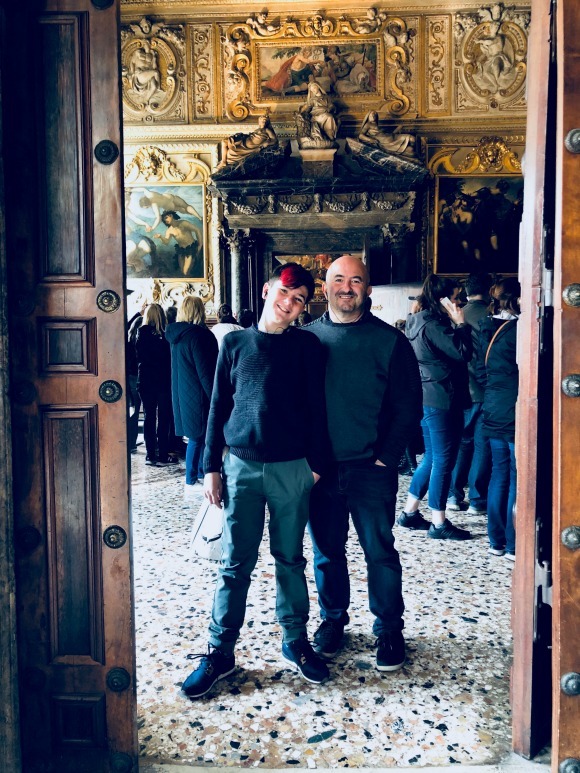 We just got back from spring break in Italy with the kiddos. 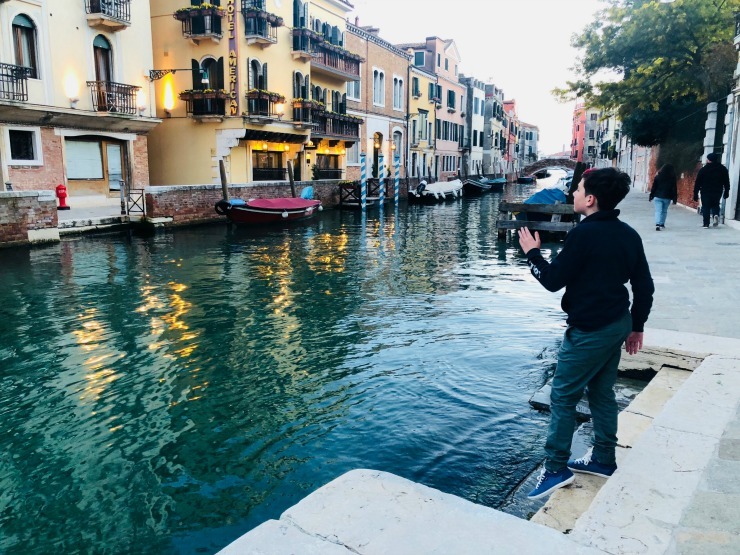 Venice has been on the kids’ bucket list for a long time, so we thought we should probably make it happen. If I am being honest, Venice wasn’t at the top of my list. I thought perhaps it was overrated and going to be overrun by tourists. 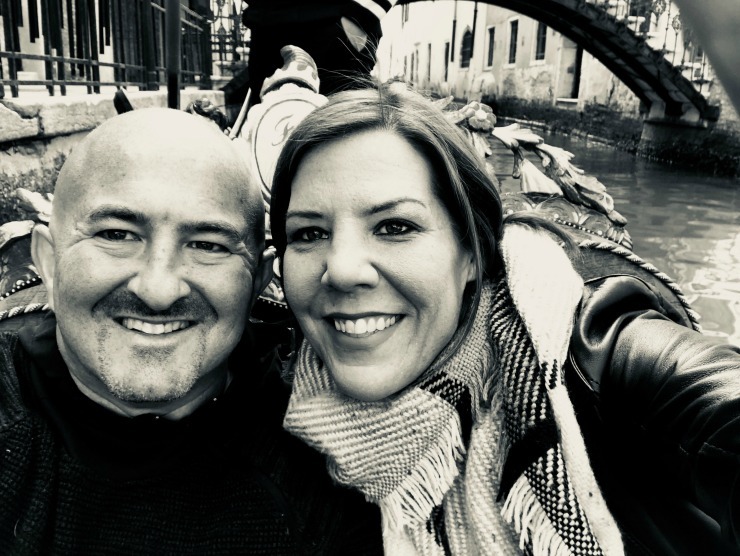 Although, Harris proposed to me on a gondola in Venice about 17 years ago, so I was looking forward to going back to see what I remembered and if anything had changed. The kids know that is where he asked me to marry him, so I was also excited for all of us to take a gondola ride and share this special place with them. 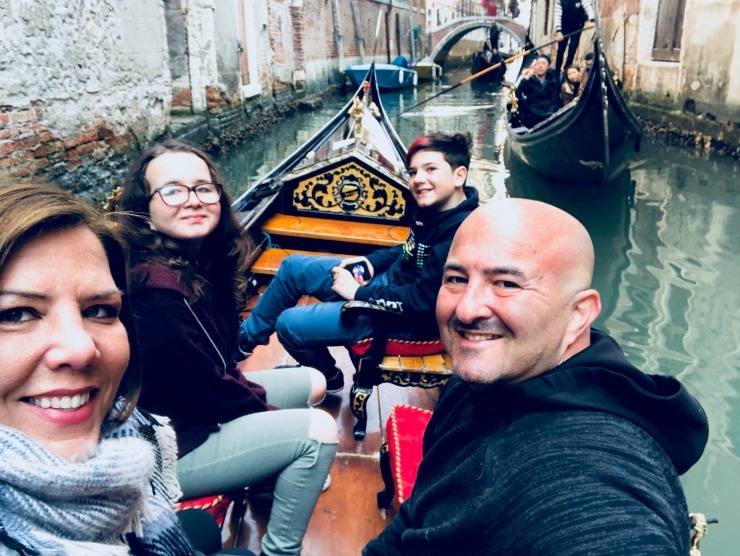 So we did three nights in Venice with kids! Then drove to a family-friendly spa in Tuscany, followed by a few days in Florence. We took the water taxi from the airport to our hotel, which cost about 60 Euros. 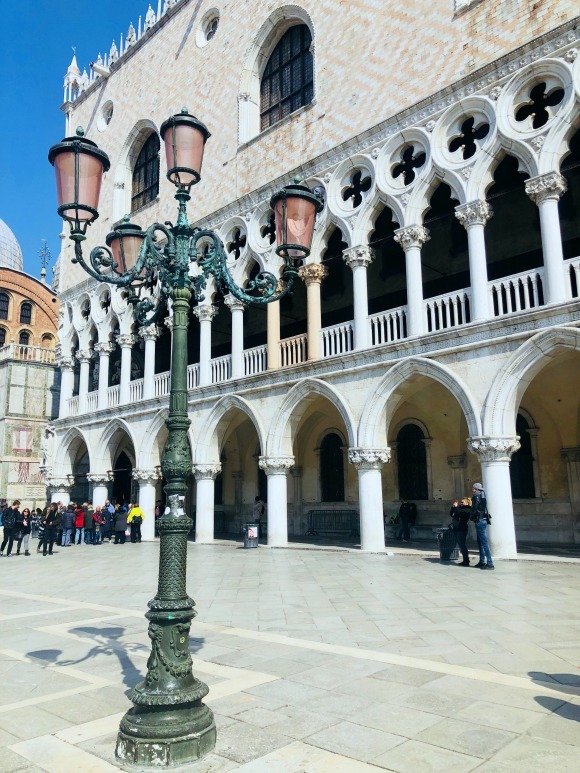 One thing you should know right now is that Venice is not cheap, but it can be. The public taxi costs 6 Euros a person, but we opted for a private taxi and I am SO glad we did. 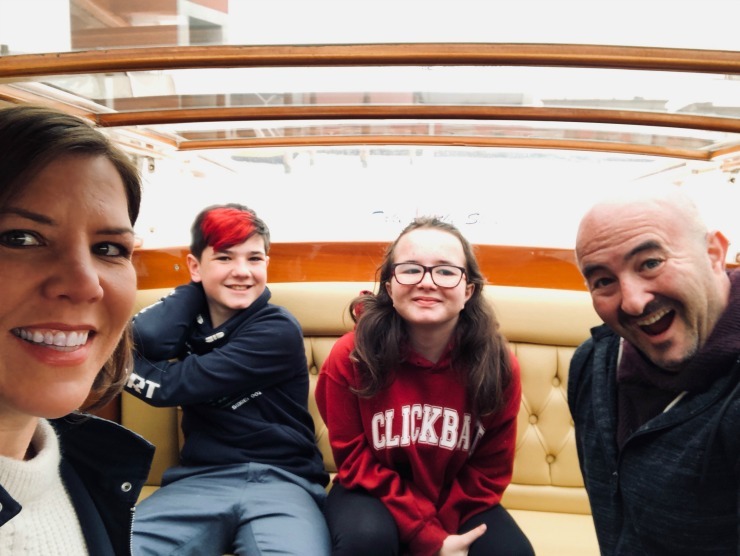 Once we got into the main city waterways we were able to open up the roof and the kids were able to see exactly what they came for “the floating city.” I would pay double to see the look of amazement on their faces as they soaked it all in. Totally worth the 60 Euros to have that moment all to ourselves. Not to mention the chance to take some great photos! The rain had stopped and it was overcast, but perfect. In fact, we saw more on that boat ride than on the gondola ride – so YES take a private water taxi to your hotel. When we arrived at our hotel, the taxi turned into a narrow canal. Hotel staff came out and lowered the small bridge (more like a plank) for us to walk across to enter the hotel. 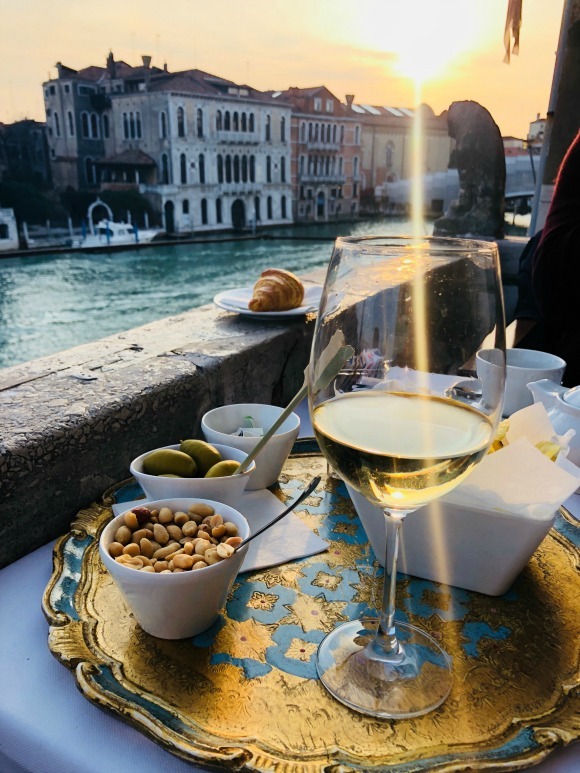 It was the perfect way to start our stay in Venice! 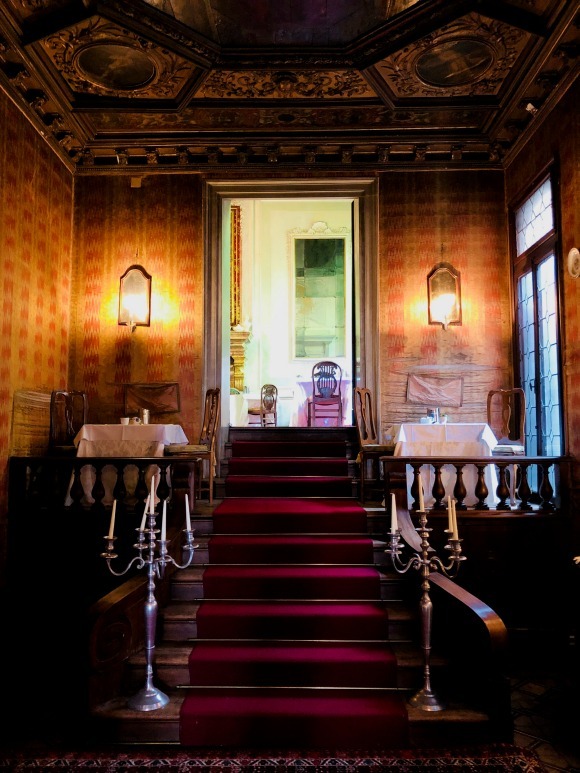 Palazzetto Pinsani is an historic palace that dates back to 1260. It sits right on the Grand Canal, but is perfectly tucked away from the crowds. In fact, it’s so tucked away that to get out to the main streets you need to walk through what appears to be part of the abandoned palace grounds. The main courtyard is complete with old statues and columns lining the walkway. Our room was one of the canal-facing suites and it was huge. The main room had a full king size bed with a ginormous couch (that Hudson took for his bed). He loved making a fort out of all the cushions. Queen McKenna took the large four poster bed while Harris and I slept in the bedroom. Not only was our suite large enough for all of us, but we also had a large sitting room just outside our room that also faced the Grand Canal. This was a shared common space with the others in a suite on our floor. The dining room, bar and main lounge area had all the old world charm you could ask for. 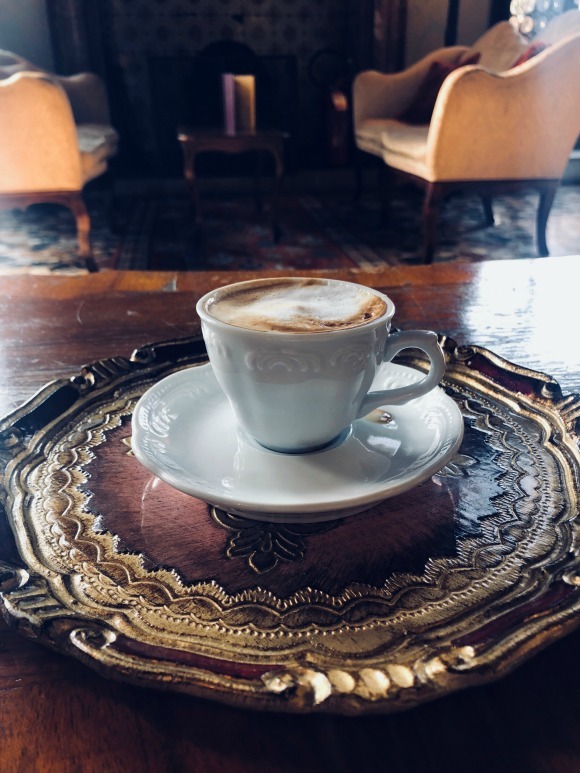 I loved all the beautiful trays that my beverages were served on! 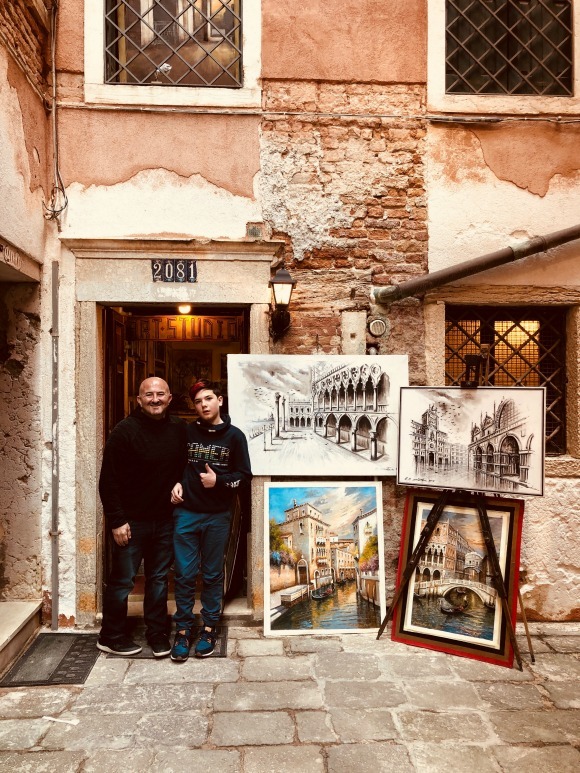 I would highly recommend this hotel for families that want Venetian style and to be a little hidden from the highly trafficked areas. 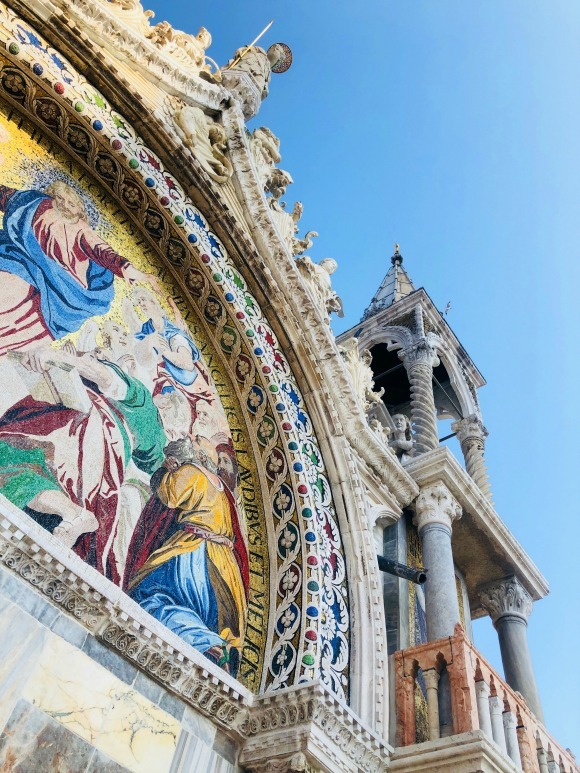 My favorite things in Venice, Italy! 1. 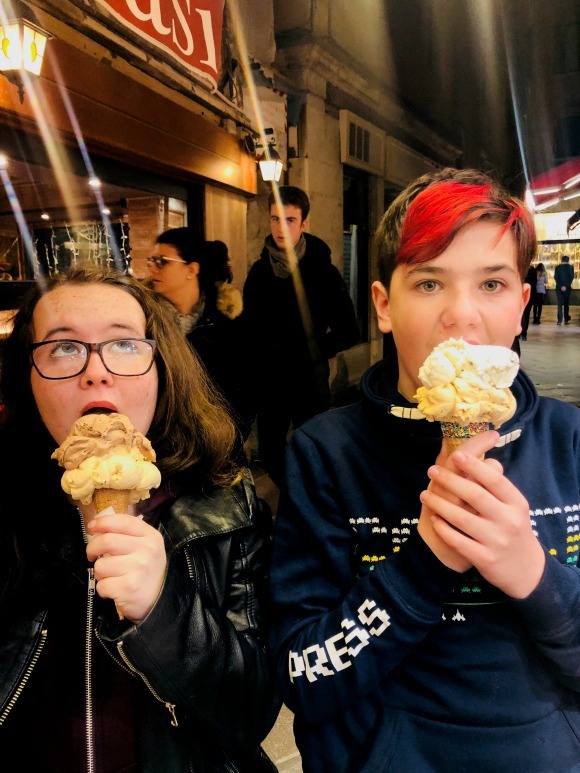 The first thing you probably want to know is where we got gelato!? Our favorite was Gelato Fantasy. The scoops were gigantic and the guy who helped us was so nice. It was so good we went back the next night! Another place to check out is Suso Gelato. We did not try it but the line was a mile long and the flavors looked insane. 2. 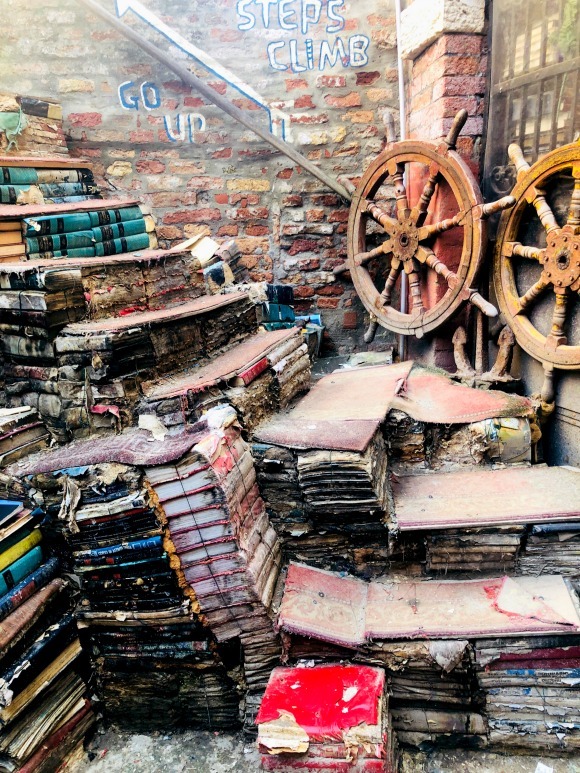 Acqua Alta Bookstore is a quirky store. 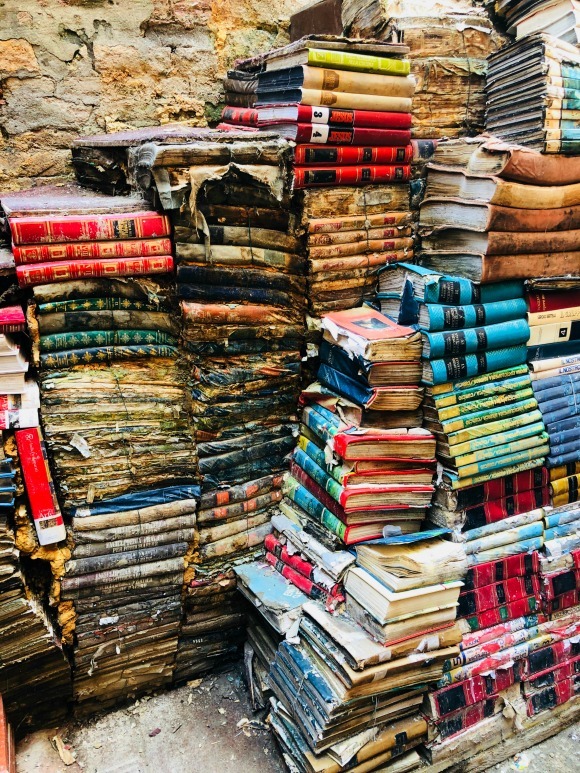 It keeps all the books that have been water damaged and has made a staircase out of them in the back. There is also a full size gondola inside filled with books! I would say this is a hidden gem, but the gig is up, we were not the only ones there. The bookstore is located in a great neighborhood, perfect for wandering. In fact, right next door to this bookstore is a wonderful art studio called Papier Mâché, a true artists studio. There were no photos allowed so I do not have a picture of her shop, but it was stunning! I bought two beautifully hand-painted ceramic masks. 3. 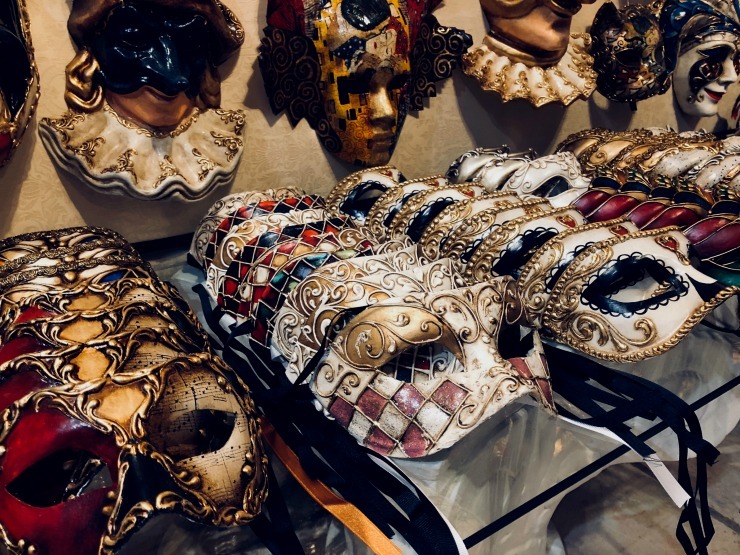 Masks – Some of the masks around Venice are silly, creepy, weird or super cheap. I highly recommend the shop I just mentioned above but we also stumbled upon Le Maschere Di, Eyes Wide Shut. This is an authentic Venetian mask and costume shop that has such gorgeous masks. 4. Magic – Harris is currently obsessed with magic. When we were wandering around the Acqua Alta Bookstore he was supposed to be navigating us in the direction of our hotel, but he actually led us to the magic shop, Mystery & Magic. I am SO glad he did, because on the way we walked through the cutest area. So after visiting the Acqua Alta bookstore navigate to this magic shop and you can discover some cool things! 5. Osteria da Carla is a small trendy restaurant with only a few tables. It’s creative cuisine, but both my kids found something and survived. If your kids are not that adventurous, we also went to VinoVino which is more traditional and kid-friendly with great pizza. Everyone was happy with their meal here. In fact, Hudson was sick of pizza and they had a chicken curry dish – so he was very happy to have a break from pizza. 6. St. Mark’s Basilica First, I am not a church person to begin with, but I wanted to see inside since I don;t think we went in 17 years ago. I love the style of the design on the outside, but inside it was a really dark and I didn’t really care for it, other than the tiles on the floor. And really once you see inside La Sagrada Familia, no church will ever compare. However, the terrace up top gives you a great view of St. Marks Square and the Grand Canal. If it’s a sunny day, I say it’s worth going in for that. 7. Do not take the kids on a tour inside Doges Palace. It’s not so much a beautiful luxurious palace with grand ballrooms, but more a government building, courthouse and prison. And the prison was not that exciting. Listen, I appreciate history and I like learning about crazy stories of the past but honestly, this was just a place where thousands of men made a bunch of laws and rules and sentenced people to be hung or sent to prison. We were all bored. Some of the ornate design and decorations were fun to look at but that’s about it. Beautiful architecture from the outside, so just stay out there and admire it. 8. Red Rose Restaurant, unfortunately, we were not able to eat here, but I tried – twice! Grrr. The restaurant is cute and the food looked amazing! Make a reservation. This was in our neighborhood of where we stayed which is a nice area to hang out. 9. The Rialto Bridge is iconic and beautiful, but unfortunately, it’s a hot mess. Filled with souvenir shops up and down and all around. I could not get off this bridge fast enough. Blah. 10. 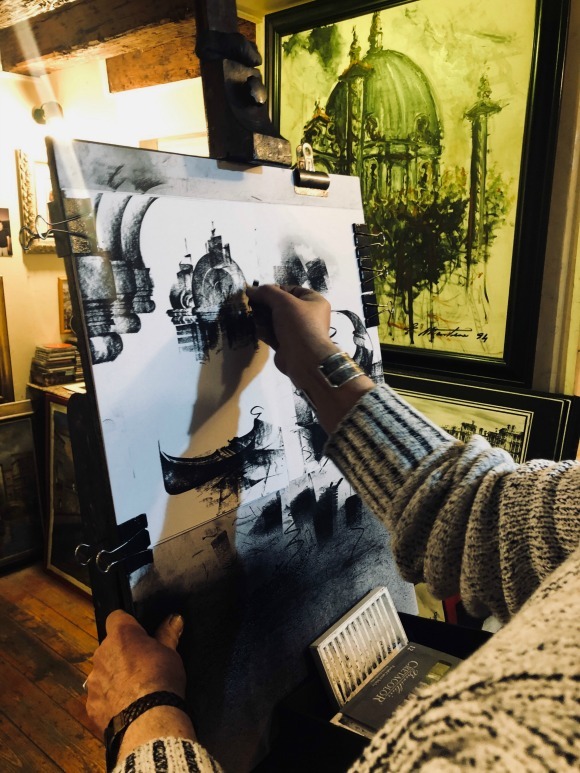 We stumbled upon an art studio that was sandwiched in between all these high-end stores. The artist came downstairs and gave us a demonstration of how he does his chalk drawings! This guy was great. We bought one of the drawings (only 20 Euros) and then he let the kids each pick out a small drawing for free. 11. 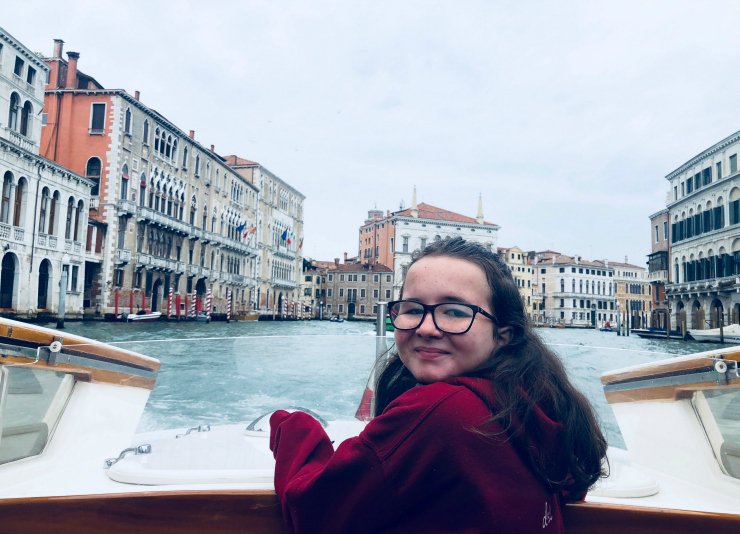 Gondola Ride – Yes, it’s expensive at 80 euros for 30 minutes. But you’re in Venice, I say do it. The kids were so excited to do this and heck I was sort of too. It was a short ride, but very nice. 12. Zacaria’s is an eclectic shop with really cool light fixtures, jewelry, handbags, art and unique gifts. I bought a really cool handbag and I was tempted to buy some cool light fixtures but refrained. This is a great place to pick up a gift for someone! 13. 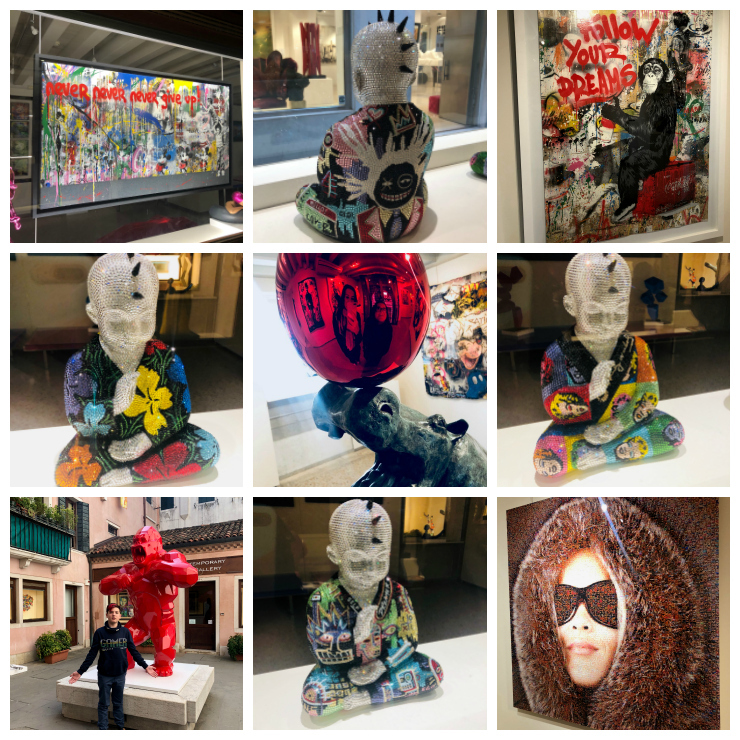 Bel-Air Fine Art is a small gallery with modern, playful and engaging art that even the kids liked. I OBSESSED over the Rhinestone Buddhas. I purposefully walked the way of this gallery every day so I could visit them. They are by Metis Atash and are made up of 24,000 Swarvoski crystals and cost 13,000 Euros. OMG I wanted one so badly. I still want one badly. Sigh. 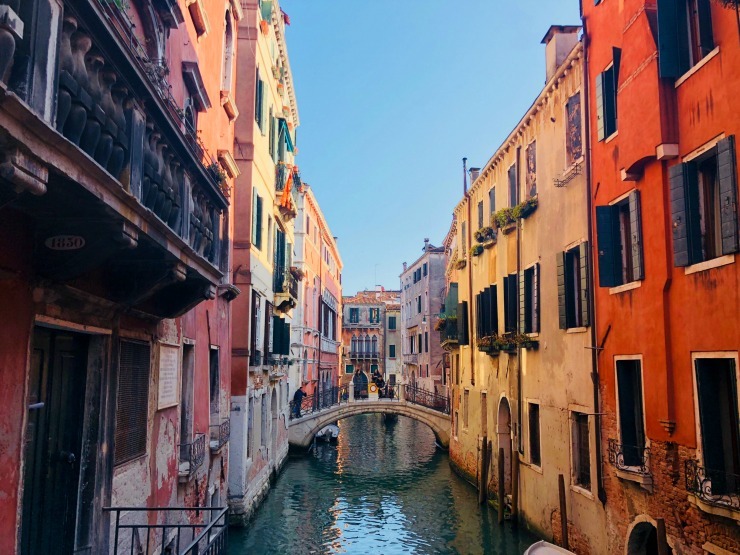 I LOVED Venice and didn’t find it to be overrated at all. Yes, there were swarms of tourists, but that’s bound to happen when you go during spring break. 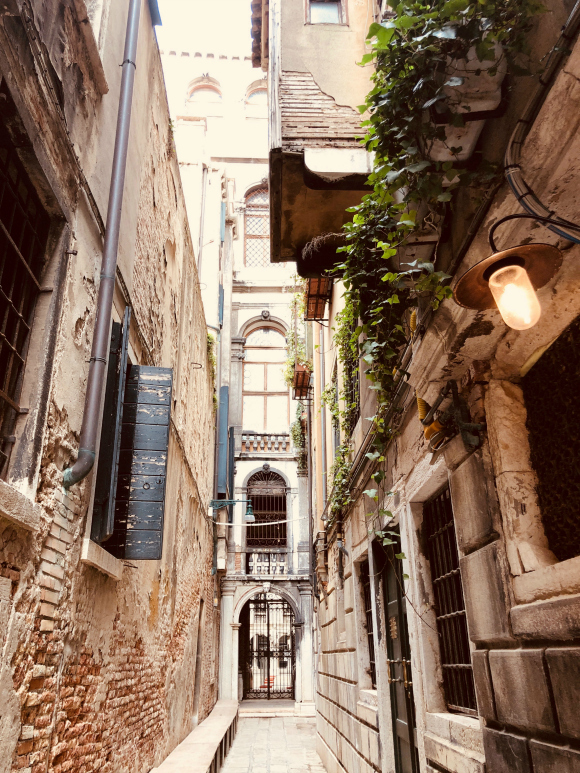 We stayed on the outskirts and explored away from Saint Marks Square, so we found plenty of spots where there weren’t crowds of people. Not everything we do or try is a winner, trust me. We ate at a few places that were pretty mediocre and paid a fortune. We also don’t mind letting the kids hang out back at the hotel while Harris and I wandered alone or went to sit in the sun and have a glass of wine. I really just liked hanging out in our hotel’s regal dining room area and out on the terrace, so instead of running around to find lots of cool spots (like I usually like to do) we just stayed in and enjoyed the hotel and overall atmosphere. The only thing we could have done that I may regret not doing is heading over to the colorful island of Burano. Hey, maybe next time! I love Venice. We went for Christmas last year – not expensive – and we had sun on Boxing Day! Some places are closed but the payback is no crowds.